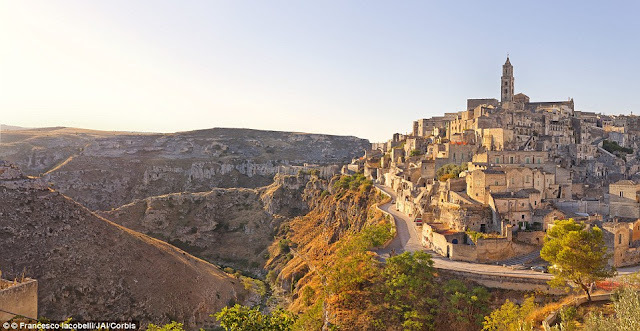 In the Basilicata region, in Southern Italy, there’s an ancient city called “Matera” well-known for its cave houses called “Sassi”. The “Sassi” are carved into the cliffs of a rocky ravine formed by what was once a big river just left now a small stream. 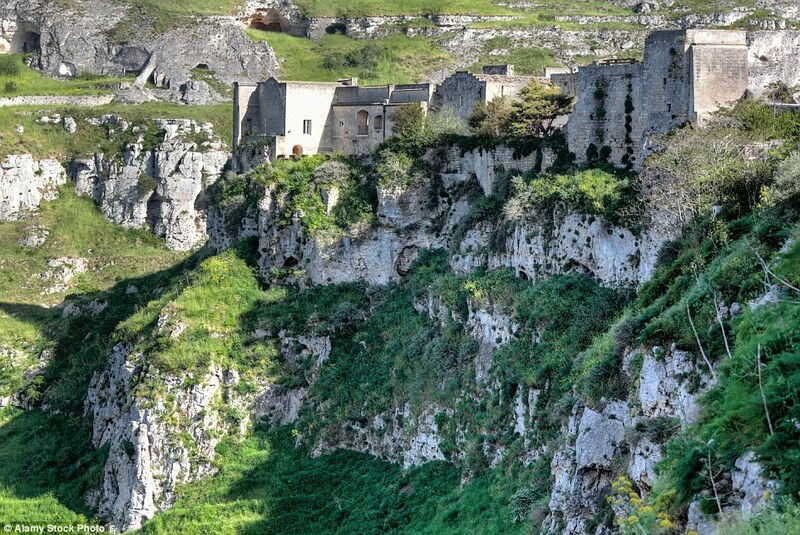 These cave dwellings are thought to be amongst the first human settlements in Italy dating back to the Paleolithic era, more than 9,000 years ago and is believed to be the oldest continuously inhabited cave city in the world. Since then until as recently as the caves were continuously inhabited. The first human settlements in the territory of Matera took advantage of the region’s many natural caves that define the rocky landscape. 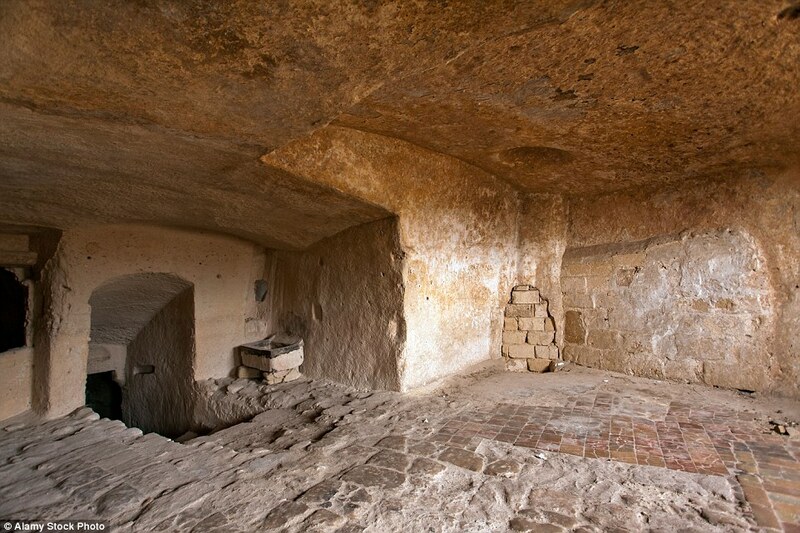 Over time new caves were dug out to accommodate the growing population. 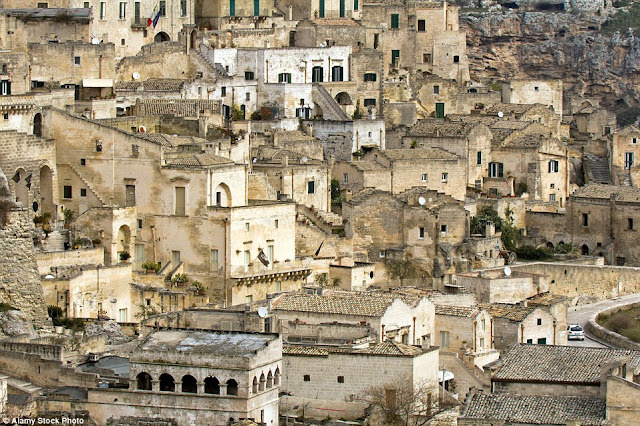 At first glance the Sassi sprawl seems as a jumble of stone huts that impeccably merge with the spectacular landscape but behind the picturesque dwellings are tales of struggle. Moreover, some of the earliest houses look like stone huts, but behind the house-like facades is meek caves. 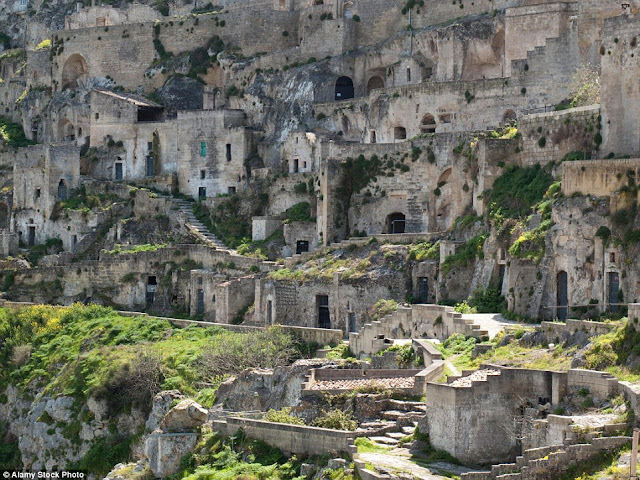 With the passage of time, the city developed, it became emerge into jumble of narrow alleys and stairways as residents dug wherever a cliff-face provided opportunity. 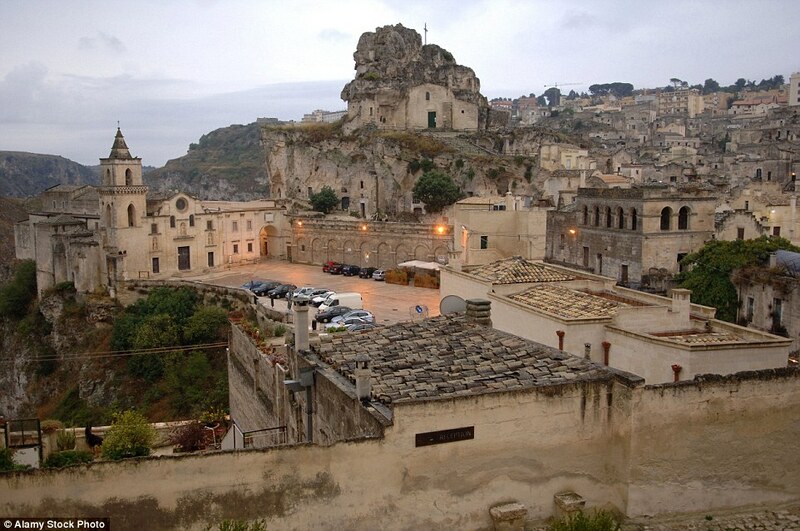 Hence, until the late 20th century, the Matera region was one of the poorest places in Italy. Over the years new holes were continuously carved out to make room for the ever-increasing population dwellers took advantage of every bit of rock they could and many of the layered homes feature labyrinthine alleys and stairways. 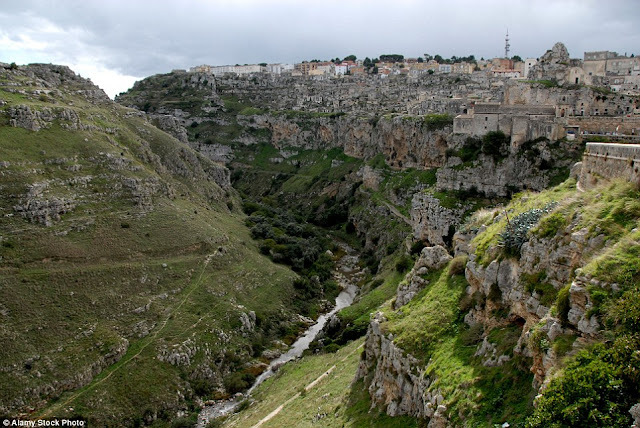 After WWII, cave residents were reluctantly moved from their crumbling homes into more modern abodes in the Matera town on the cliff. While many of the ancient chambers lie abandoned and forgotten, the settlement's prospects were hugely boosted in 1993. However, the area was without electricity or running water or sewage disposal facility. The public were lacked of basic needs because there were no shops in the village. Therefore, a typical diet comprised of bread, oil, crushed tomatoes, and peppers. Even, big families lived alongside their livestock, and in such unhygienic conditions, disease was widespread, particularly malaria. 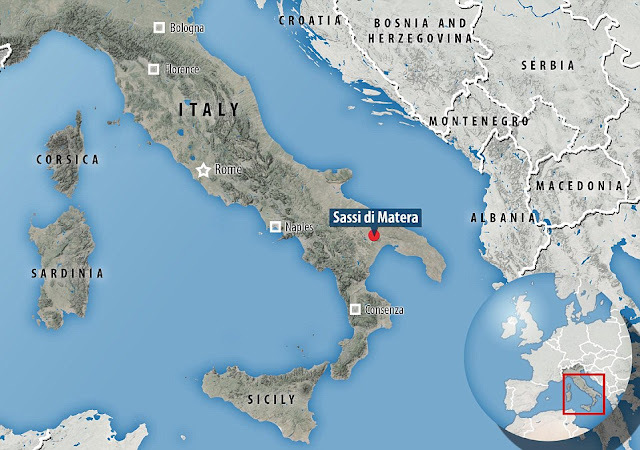 The extreme poverty of these people during Benito Mussolini's fascist rule was uncovered in the book “Christ stopped at Eboli” by an Italian doctor Carlo Levi. It is foreseeable that the picturesque caves' timeless surroundings have had their fair share of screen time. 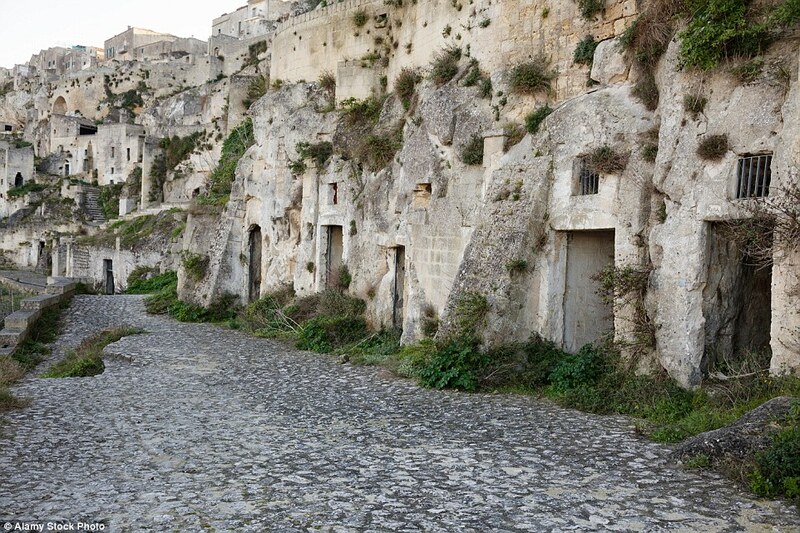 The landscape has been used for a range of biblical film and TV scenes including the 2004 Passion of the Christ. 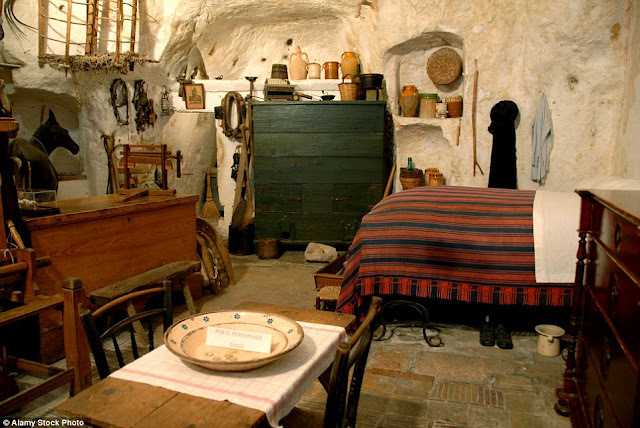 After the Second World War, the new government tried to move the city’s cave residents into modern dwellings but many people were reluctant to move. 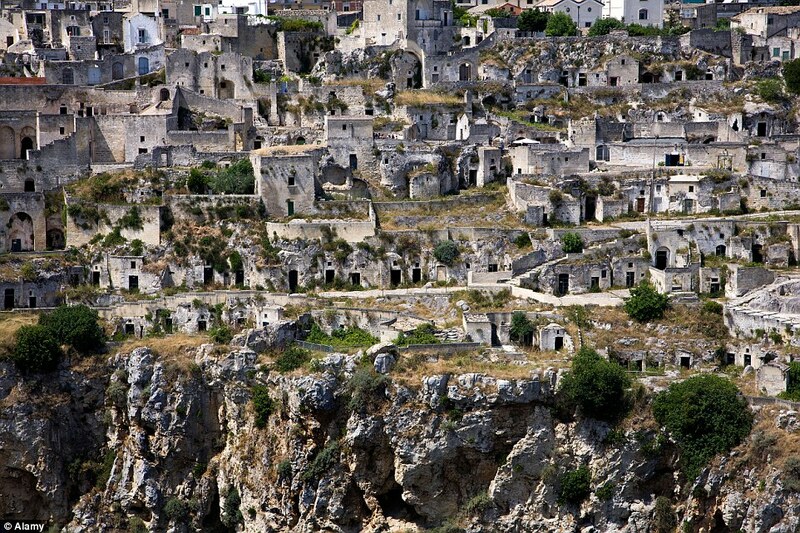 Eventually, the government had to forcibly relocate the inhabitants to the new town on top of the cliff. 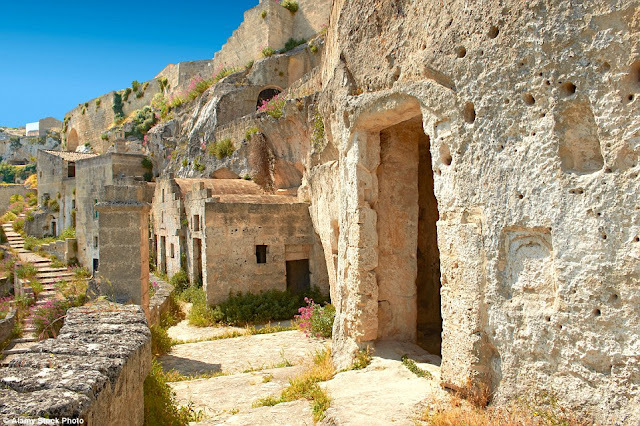 Therefore, Matera’s fortune was changed after 1993 when UNESCO declared Matera’s Sassi and cave churches a world heritage site, bringing a fresh wave of inquisitive tourists. Since then several caves have been given a new lease of life and transformed into cozy homes, stylish hotels and restaurants to cater for waves of inquisitive tourists, eager to find out why Unesco was so impressed. Indeed this place is a good way of life. Cool in the heat of summer and warm in the winter, and no air conditioning of radiators to worry about. Back in the 70's it recalls seeing similar caves in the South of Spain, and with people still living in them.